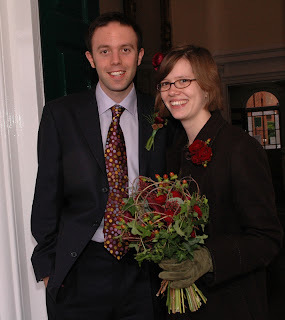 We tied the knot in style on Saturday 19th January! 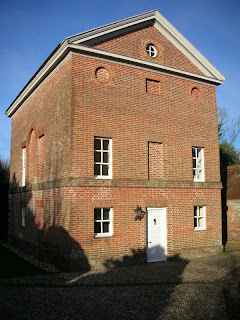 We then spent a very happy week in an early 18th century hunting lodge in Sussex. 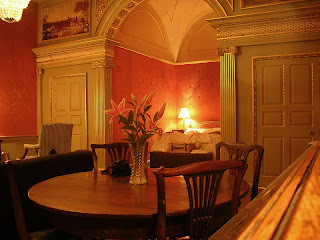 The lodge is known as Fox Hall, and is owned by the Landmark Trust (a UK based charity that rescue historic buildings and convert them into wonderful holiday homes). Needless to say our trip has provided us with lots of inspiration and lots of sketches and ideas to work up into designs for prints. 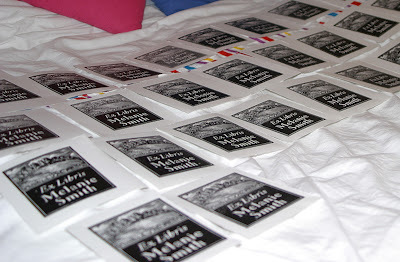 All is quiet on the printmaking front at the moment, we managed to finish all our ongoing projects before the wedding. We're both looking forward to getting all the tools, inks and other paraphenalia out again at the weekend and getting started on some more engravings and woodcuts. 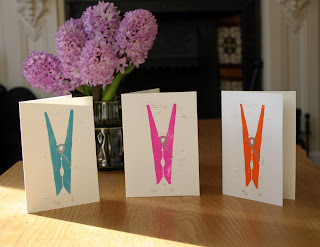 Today is a lovely sunny day, so I've managed to take some sunny photos of the 'Pegs' notecards - available now in our Etsy shop! 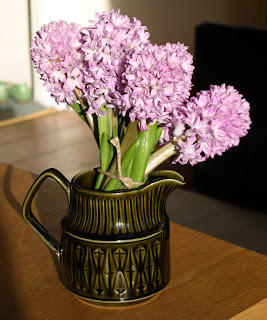 Our living room is full of the heavenly scent of these hyacinths - I'm planning on doing a little watercolour sketch of them this afternoon with a view to perhaps turning it into a wood cut. 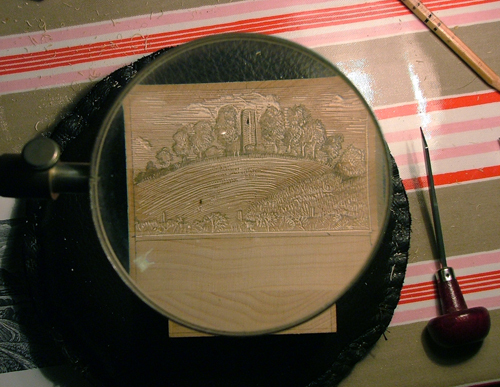 Engraving the bookplate, originally uploaded by spoonergregory. Before Christmas we were busy working on a commission for a bookplate, and here it is in various stages of completion! 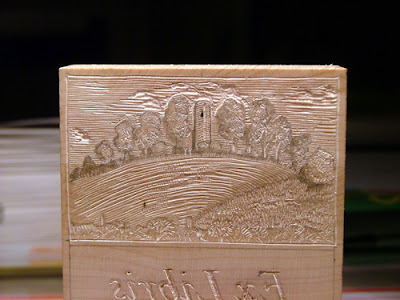 The image on the bookplate is a fairly typical Norfolk landscape with a round towered church, based on All Saints in Keswick. 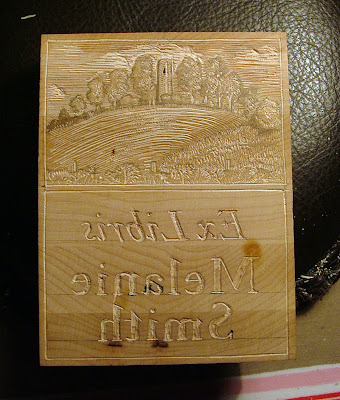 The bookplate was engraved on a 4x3 inch maple block. The photograph above shows the block under the magnifier during work on the landscape, and the one below shows the completed landscape. 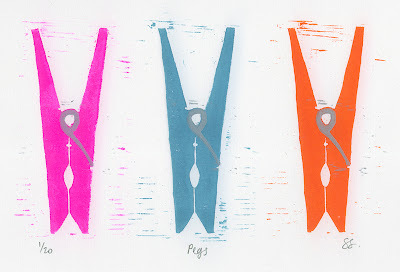 'Pegs' is available now in our Etsy shop. At the moment we are busy with another bookplate commission, which will be finished and printed by tomorrow night. All our other printmaking adventures are on hold for a couple of weeks - we are getting married on Saturday and then are away on a surprise honeymoon! We did manage to get to grips with the Adana whilst printing our wedding invitations (photographs to come), so at last all our type is sorted neatly into trays. Hooray!